Brent futures slipped on Thursday on the back of a stronger dollar, but held above $108 a barrel as a drawdown in US stockpiles for a third week buoyed hopes of a steady revival in demand growth. The US dollar held on to overnight gains as Fed Chairman Ben Bernanke pledged to keep monetary policy accommodative for the foreseeable future, weighing on commodity prices. But oil was underpinned by the fall in stockpiles after data showed refiners in the United States consumed the highest amount of crude since August 2005. 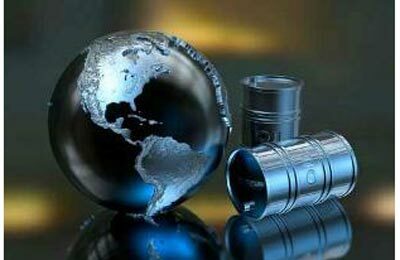 Brent crude traded 11 cents lower at $108.50 a barrel by 0218 GMT, after rising to a high of $108.70 and settling up 47 cents. US oil fell 13 cents to $106.36. "The sharp drawdown in inventories is a big factor for oil markets as it shows refiners in the US are processing more crude," said Ken Hasegawa, a commodity sales manager at Newedge Japan. "With the Fed continuing with its stimulus, there is a lot of money to invest in oil and other commodities. There are not many sellers, but many buyers." US crude oil inventories slumped almost 7 million barrels last week, according to data from the U.S. Energy Information Administration (EIA), adding to the near 20 million barrel draw in the two previous weeks. The data showed US refineries consumed the highest amount of crude oil since August 2005 - a net input of 16.23 million barrels per day (bpd). US capacity to refine crude remained close to all-time highs reached in April. Last week, the capacity was at 17.814 million bpd, slightly under the peak of 17.819 million bpd. The successive drawdown in US stocks, and expectations that the world's biggest oil consumer is on track for a steady economic recovery, will help push US oil to $110 a barrel by the end of the month, Newedge's Hasegawa said. Brent will be about $2 more expensive than the US benchmark, he said. Bernanke said on Wednesday the US central bank still expects to start scaling back its massive bond purchase programme later this year, but he left open the option of changing that plan if the economic outlook shifted. While sticking closely to a timeline to wind down the bond buying that he first outlined last month, Bernanke went out of his way to stress that nothing was set in stone.